Lower Frame: 2782 Sq. Ft.
Upper Frame: 1195 Sq. Ft.
Total Frame: 3977 Sq. Ft.
Total Veneer: 4069 Sq. Ft. Already a user? Click here to login. 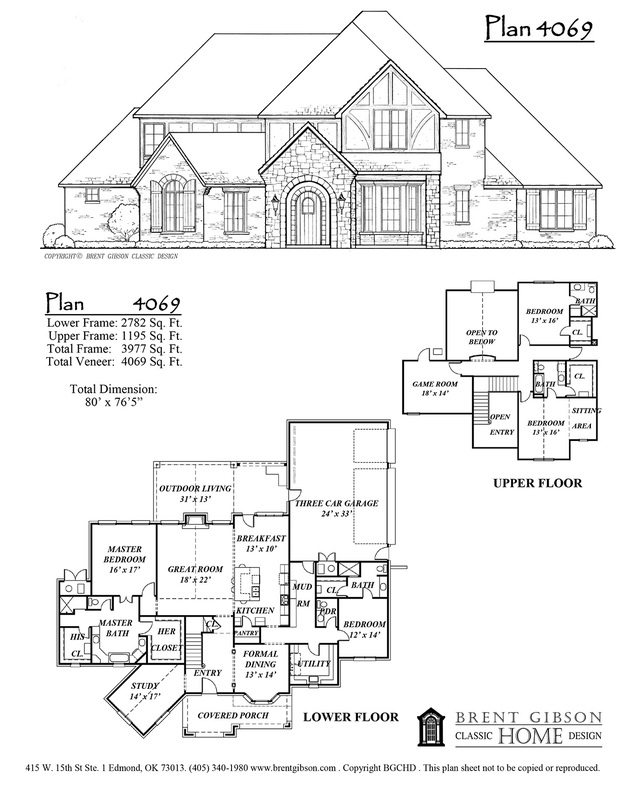 Please contact us about purchasing this plan. We offer consulting and plan customization to every client. We want you to have the home of your dreams. Contact us about this plan and let us help you realize the full potential of your new home.